HubSpot today announced that Kate Bueker will become Chief Financial Officer of HubSpot, effective June 18, 2018. Bueker brings almost 25 years of financial and operational expertise to HubSpot. As previously announced, John Kinzer will step down as Chief Financial Officer as of June 18, 2018, and will remain with HubSpot through January 3, 2019 to ensure a smooth transition of his duties to Bueker. 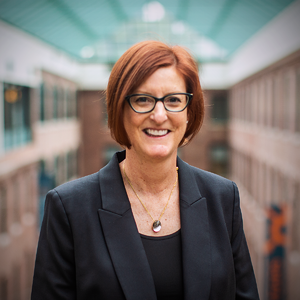 Bueker joins HubSpot from Akamai Technologies where she most recently served as the senior vice president of business finance and operations. Bueker held a number of finance and business development leadership positions during her 11 years at the company. Prior to Akamai, Bueker spent almost a decade in investment banking working with companies in the media and telecom sector at The Blackstone Group, UBS, Credit Suisse and Donaldson Lufkin & Jenrette. Bueker received her B.A. in mathematics from Cornell University and her M.B.A. from the Massachusetts Institute of Technology.